“Defined-contribution plans rely on the promise that workers are making rational retirement decision. So the companies’ responses are an admission that the defined contribution system is failing many of their employees. That raises the question: If employers don’t think their workers can manage the shift to defined-contribution retirement plans, why make it? … Here, the companies were remarkably candid. Asked what drove the design of their plan, 63 percent cited cost, while just 46 percent mentioned workers’ ability to retire with a reasonable level of benefits. … That cost-cutting approach may be shortsighted.” Facing America’s Other Middle-Class Squeeze, Bloomberg Businessweek, Oct 20, 2014. It was me, an account manager, the general manager, the COO, the CEO and the company owner who was also chairman of the board. It was all about how to improve delivering products to our customer. We had just gone through an exercise where we had finished negotiating with our biggest customer on how and what we were going to deliver to them over the next year. It was a rational assessment, based upon recent past performance, and was something we could realistically deliver. The customer had agreed. They even admitted it was about time we gave them realistic promises. The problem occurred when someone else in the customer’s organization said we should be challenged to do more. This challenge came back to our company but not through me. Now, however, we were still stuck. Into this discussion the account manager walked up to the whiteboard and sketched out how we would deliver our products over the next year. Huh? What does he know about product delivery? Nothing, as his team was the one who instead of pushing back on the customer’s challenge had blind sided us all by getting the COO to agree to a ridiculous increase. The account manager’s totally made up and unrealistic description, including some humorous simplistic assumptions on performance, intrigued the owner and chairman of the board. After about ten minutes it became our plan. Again, complete insanity. I also failed as I was unable to and I admit unwilling to fall on my sword to try and carry the plan back to a sound and realistic basis. It was because my solution was very boring and it was simply to go back to our original and agreed upon plan that the customer had challenged us on. The “it sounds good” characteristic is what did me in. The account manager was of course a marketing and sales guy, so he had much more practiced and capable persuasive abilities than I had. My arguments just didn’t sell. The article above reminded me of this ignoble defeat. Here the author of the article makes what seems to me too many leaps of faith. For an economic argument in a business magazine, it was strangely absent all sorts of readily available data on how poorly business defined pension plans were doing. Whether one agrees with these underlying assumptions or not, we need to be aware of how people insert them into proposals and arguments. If the underlying assumptions are not foundational, don’t address root causes, then acting on them will rarely achieve our goals. In the case of the “people are not smart enough to manage their own retirement plans” I would argue the solution is in the problem statement. Educate people. Also, set up a process that defaults to what at the time is a reasonable approach (e.g., contributing to a 401(k) is the default unless one opts out in writing). Finally, make it a challenge to withdraw from retirement savings. Of course, just about all these things are already in place or are becoming more common. Change, however, scares a lot of people. The implied solution is to return to the defined pension plan which the author indirectly identifies through the phase “confronting the lightning-fast erosion of adequate retirement plans.” The author slips in the word “adequate” while ignoring the history of failed defined pension plans. The underlying assumption feels like it is based upon a fear of change. Even though defined pensions turned out to be too expensive and were bankrupting companies and governments (e.g. a General Motor’s VP once joked that they were an insurance company that sometimes made cars) the author seemed less fearful of that fact and more concerned about what could theoretically go wrong with other pension approaches. For example, the author argues that people will work longer in a given job because they now need to make more money with the new pension approach and this was a bad thing. Yet I know from my Fortune 500 experience that defined pensions were one reason people stayed in place because most pensions had a “hockey stick” shaped benefits scheme that motivated one to stay with one company until the bitter end. The author’s argument sounded logical until it was compared to a wider understanding. Looking at the implied assumptions will help us sort out if the problem we are trying to solve is the real problem. 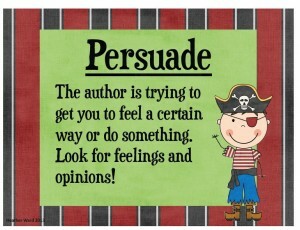 Only in this way can we help determine if what we are hearing is persuasive or not. It will also help us to persuade more senior managers of the holes often hiding in plain sight in any given presentation. In the worst case when seeing the unstated assumptions we can plan for and risk manage them when they spring their trap. Too bad I wasn’t better at this on that one ignoble day, but I’ve learned a lot since then. Compare with what happens when we give the customer everything they ask for. Are you looking for the unstated assumptions hidden within a project proposal? Another pension hypothesis: “Why has the labor market been so slow to recover? The answer may lie in the relatively low levels of churn in the workforce. One of the historic strengths of the U.S. economy has been the ease with which American workers move into and out of jobs. This fluidity … can lead to higher wages ….” U.S. Companies Grow Older and Hire Less, Bloomberg Businessweek, Feb 2, 2015. But defined pensions supposedly discourage changing jobs. Are any of these effects real or are they just “obvious” and don’t require scrutiny? Good general background information. The good part is I believe I understand your position. What I don’t see is anything that persuades me that your version reflects the actual reality better than any other I’ve heard. At best you’ve given me an hypothesis that I can test against as I dig into what hard data I can find on pensions (If I was trying to make some decision on pensions). The intent of the article was to highlight how we can be subtlety persuaded by the selective use of words and we need to be aware of this when trying to make an informed decision. In the United States, defined benefit pension plans are insured, much like the deposit accounts in banks. Defined contribution plans are not; consequently, converting from DB to DC plans eliminates the insurance premium, as it shifts the investment risk from employer to employee. But the trend for employers to close down their defined benefit plans really took off in the late 1980’s, when so many companies with over-funded retirement plans were the subject of hostile takeovers. People like Michael Milken engineered leveraged buyouts; they shut down the company, laid off the workers, sold off the assets, and bought annuities for the workers who were vested. As a defensive measure, executives quit making contributions to their pension plans, in order get them down to the level required to pay benefits, or converted them to DC plans. After a while, they cut employer contributions to their DC plans, and justified it as necessary cost cutting. Of course, executive compensation continued to increase, in the form of equity plans and bonuses, but the ordinary worker got to assume the incremental investment risk at the same time they were “asked” to accept little or no increase in pay. Bottom line: what was once a three-legged stool of employer-provided pension plans, workers savings, and Social Security is now a pair of very short stilts, and advocates of “privatizing” Social Security want to further reduce employer payroll costs, without passing any of it to the employees who will have to assume the accumulating investment risk.